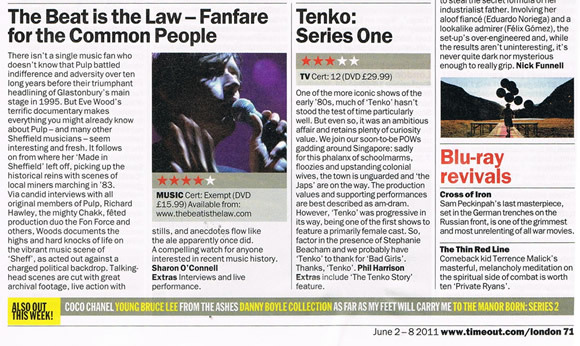 The Beat is The Law on Fox News in America! Here’s a clip of Fox 9 News in Minneapolis covering the Sound Unseen Music and Film Festival. Half way through the reporter discusses The Beat Is The Law with the festival organiser. Its interesting because despite the film being about Pulp, she really likes the socio-political aspect of the film and ends with a shot of a guy collecting money for the miners to keep them off the dole. Its a bit surreal to see Rupert Murdoch’s Fox News showing derelict steel factories, police and protesters protesting about the oppressive regime of The Iron Lady herself, Margaret Thatcher, being beamed to homes across what is a large population in Minneapolis at breakfast time! 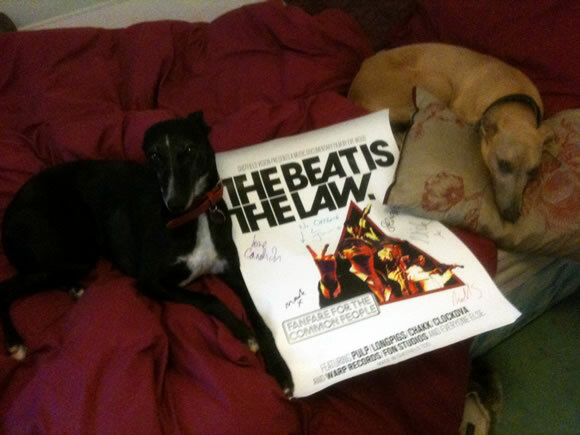 The first in a series of photos sent in by those who won The Beat Is The Law – Fanfare For the Common People posters signed by Pulp. We asked the lucky few to photo the signed poster hung up in their pride of place.